When it comes to any area of your home, it almost goes without saying that you want it to look its best. Whether this means that a room needs redecorating or something needs replacing, it can often be difficult to know exactly what equipment is needed to make these changes. Of course, your staircase is no exception. If your staircase is old or damaged, you may need to replace some of the parts. However, when you are looking at the different staircase parts, you may well have no idea just what it is that you need. So, to avoid any future confusion or stress, we have listed some staircase parts, where they go and what you will need to fit them. What is it and where does it go? A stair spindle is fitted underneath the handrail to support it, giving strength to the balustrade. 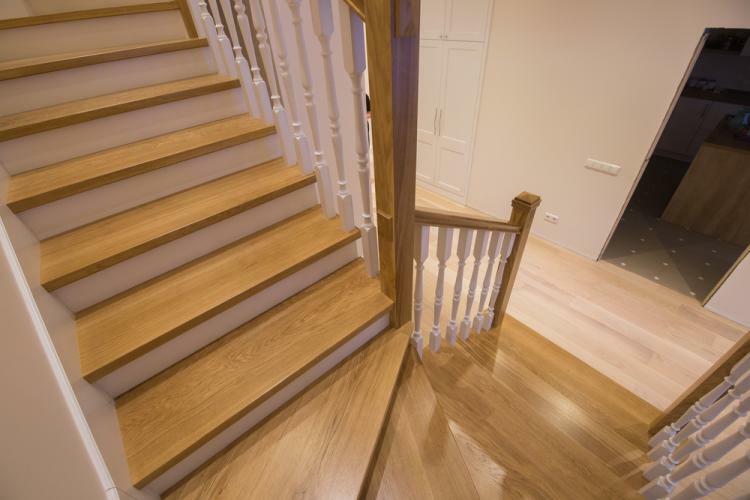 A single staircase will use multiple spindles and they should be placed no more than 99mm apart in order to conform to building regulations. What do you need to fit them? To fit spindles, you may need to use an adjustable sliding bevel in order to cut the stair spindles at the correct angle. You will also need wood adhesive and panel pins to secure the stair spindles into the pre-grooved hand and base rails. Spindle spacers or fillet strips are placed in the groove in-between spindles finishing the job. What is it and where does it go? A newel post acts as the structural support for the handrail and stands at both at the bottom and top of the staircase and on some landing areas. What do you need to fit them? Newel posts form the strength of the balustrade so fixing them securely is the key to a good, solid handrail. For this, you will need to fix the bottom newel post to the stair string by housing out the post and fitting it over the string. On the landing areas and at the top of the stairs, you should life floorboards and lap joint the newel post securely to the floor joist. Handrails are fixed to the newel posts using Zip Fix Fixings or a universal zip bolt which does the same but can be manoeuvred to be either angled for the stair or straight for the landing horizontal area. What is it and where does it go? The handrail acts as a support when walking up and down the stairs and is placed between the newel posts on top of the stair spindles. What do you need to fit them? Again, for this, you may need to use an adjustable sliding bevel to ensure that the handrail is cut at the right angle for your staircase when fitting to the newel post. To fix the handrail to the newel post, you could use universal handrail to newel post fixing kit hidden fix Zip Bolt fixings. What is it and where does it go? The base rail sits between the body of the staircase and the stair spindles in order to hold them securely. What do you need to fit them? To fit this you will need to screw through the base rail and into the staircase string using suitable wood screws to ensure that it is securely positioned and safe enough to hold the stair spindles. What is it and where does it go? The post cap is fitted to the top of the newel post and gives your staircase a stunning decorative finish. What do you need to fit them? To fit a post cap on the newel post use wood adhesive. We highly recommend that you use Everbuild 502 Wood Adhesive. Now that you know exactly what each staircase part is and what you will need to fit them, all that’s left to do is order your parts. It’s important to remember that when fitting these parts, you need to stick to the Staircase Building Regulations to ensure that your stairs are fitted safely and securely. For more information on the various staircase parts and how to fit them, please contact us today.